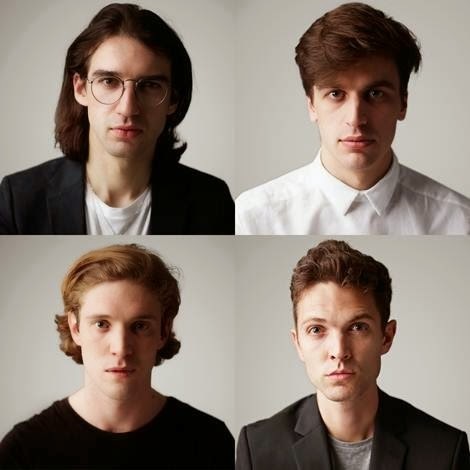 Following on from the band announcing their comeback single 'All The Sad Young Men', Spector return with a brand new video to coincide with its release. Watch on as all the bright lights and hazy memories of a night out on the tiles is brought to life in striking detail courtesy of Laura Baker. Its almost dejected feel serves as the perfect accompaniment to the track's upbeat yet emotive and reflective nuances. "I first approached Laura after seeing her work at a film club put on by the photographer Tyrone Lebon." Explains bassist Tom Shickle. "Her work seemed to encapsulate the empty yet jubilant feeling of the track. Luckily for us she said yes to making the video - she completely understood the mood of the song and started filming pretty much straight away". London fans can catch the band play an intimate show at The Lexington on Thursday March 12th. Spector Are: Fred Macpherson (vocals), Jed Cullen (guitar), Danny Blandy (keyboards), Tom Shickle (bass).